Medical Division, International Committee of the Red Cross, Avenue de la Paix, CH-1202 Geneva, Switzerland. The nature of modern conflicts precludes adequate medical care for most people wounded in wars. The traditional military approach of echeloned care for those wounded on the battlefield has limited relevance. I present an alternative, epidemiological approach whereby some effective care may reach many more. For a surgical facility to have a positive impact by using surgical and anaesthetic competence there must be access to the wounded; security for staff and patients; and a functioning hospital infrastructure. These all depend on respect for the first Geneva convention. Early hospital admission for urgent surgery is not so important if there is adequate first aid beforehand. The hospitals of the International Committee of the Red Cross have provided surgical care for thousands of wounded people by fulfilling these conditions. People wounded in modern conflicts would fare better if these priorities were recognised and less emphasis was placed on the more spectacular aspects of surgical care that benefit only a few. My experiences in treating casualties of recent wars have led me to an epidemiological approach to their management. In February 1992 I visited Mogadishu, Somalia, to make a survey of the hospitals to which casualties from the heavy fighting had gone. I found between 1500 and 2000 wounded people, who were housed in various buildings; most were lying on the floor with very little in the way of nursing care or drugs and no access to surgery. Most were being cared for by relatives alone. The International Committee of the Red Cross, Medecins sans Frontiers, and the International Medical Corps were each providing a surgical service based on the presence of one expatriate surgeon; but most wounded did not reach the hospitals assisted by these agencies. There was a high operative mortality when the surgery and anaesthesia were not supervised by expatriates from these agencies. The deaths on the operating table raised in my mind the question: was the surgery lowering the chances of survival? There were four strong lessons for me. (1) Many patients even with severe injuries do not necessarily require surgery to survive for many days or even weeks. (2) Appropriate surgical skill and equipment are difficult to import and may not be usable under difficult or dangerous circumstances. (3) Inadequate surgery is worse than nothing. (4) A basic level of nursing care could achieve much. In Kabul, Afghanistan, the hospital of the International Committee of the Red Cross was forced to close as an independent and neutral establishment because of the proximity of fighting in August 1992. In its last few weeks it received hundreds of casualties. Many Afghan hospital staff could not cross the city to get to work, and the number of expatriate staff was reduced dramatically. I was team surgeon in one of four teams when we received roughly 600 new casualties over a period of six days. Most were civilians from the vicinity of the hospital. About 250 with small soft tissue wounds were sent home with antibiotic tablets after having received tetanus prophylaxis. They had instructions to return if they developed problems; few did. This was in keeping with a non-operative policy for small soft tissue wounds,1,2 but the extreme circumstances did not allow the patients to remain in hospital for observation. We were able to admit all patients with larger wounds to dress the wound and give fluids intravenously, benzylpenicillin, tetanus prophylaxis, and analgesia. Owing to fatigue and the proximity of the battle we were able to operate only for some hours each day, and those with abdominal wounds had priority. The perioperative mortality was high. Those who were rushed into the operating theatre because of the severity of their wounds usually died during or soon after surgery because the admission procedure had become so disrupted that many arrived on the operating table having received insufficient intravenous fluid replacement. After surgery more died through lack of postoperative supervision. Much valuable surgical time and energy were wasted. The patients with abdominal wounds who survived were those who required laparotomy for perforation and not for bleeding. The few patients admitted with thoracic wounds whose condition was not stabilised by fluid resuscitation and chest drainage died before they could reach the operating theatre. Most patients with severe wounds of limbs that required amputation or wound excision had to wait three or four days for their surgery; only those with massive multiple wounds died in the meantime. Three lessons were learnt. (1) Intravenous fluids and antibiotics buy time for most patients. (2) Patients with severe life threatening injuries die despite treatment unless resources, the number of nursing staff, and the organisation of the hospital infrastructure are adequate. In most hospitals of the International Committee of the Red Cross many patients are admitted days or weeks after wounding. Spontaneous healing of large wounds is common.4 In addition, in patients with abdominal wounds admitted after three days I have often found that the bowel perforations associated with low energy transfer missile wounds (wounds with little tissue damage along the missile's track) have sealed themselves in the delay; clearly, some of these patients would have survived without having a laparotomy and being given only intravenous fluids and antibiotics. Most modern wars do not have a front line and many civilians are hurt. With or without respect for the Geneva conventions, there is rarely adequate medical care for wounded combatants; first aid and transportation are haphazard. Triage may happen only at the hospital.3 The hospital facilities for wounded combatants and civilians are usually overwhelmed or inaccessible. Usually, hostilities start and many people have been wounded before agencies such as the International Committee of the Red Cross can make additional material and staff available. Water and electricity may be cut off. These difficulties may be compounded by friends and relatives of the patient arming themselves to try to hasten treatment with threats. A health care system is one of the earliest casualties of the social and economic disruption of a country in conflict. Hospital doctors and nurses may not be able to perform their normal duties. They may not be paid or able to reach the hospital; they might be discriminated against for working. These factors have a considerable impact on their motivation and capacity for working. Casualties of war are rarely paying patients, and surgeons may have little interest in them. Medical teams from humanitarian agencies who try to work in these conflicts may do so in danger. There is little or no discipline among those who have the weapons, and the agencies may be targeted by one side of the conflict because they are perceived as aiding the other; this is the case in the former Yugoslavia. Modern wars tend to be long running and so the local health care facilities have no chance to re-establish themselves. As in Afghanistan and Cambodia, people wounded by weapons, especially antipersonnel mines, continue to overload struggling hospitals long after the end of hostilities.5 Few of those wounded in current conflicts receive adequate medical care; the plight of the rest is appalling. How appropriate is this approach if there is only limited access to those wounded, no destination for their evacuation, and little medical back up in the area? In this paper I question the value of a military influence on the surgical care of casualties of war in the context of modern wars and propose an epidemiological approach based on a schematic view of the survival and the quality of survival of those wounded. It does not provide the means to bring high quality treatment to all those wounded in wars. I hope to bring understanding to the provision of effective and appropriate treatment to many more. In any group of casualties, some will be so seriously injured that death is almost instantaneous.11,12 Without treatment many with injuries of the head, neck, chest, or abdomen die within minutes or hours; deaths after 24 hours may be due to a combination of prolonged hypovolaemia and sepsis; deaths from infective complications of the wound alone occur after four or five days. Curve A in figure 1 represents the survival of those wounded in war. The shape of the curve and the height of its end point can be determined from military reports in which the total number of casualties are known as well as the number who died before and after reaching a medical facility. *RF 13-15* The proportion of wounded people who reach a medical facility when there is a six hour delay in evacuation is 75-80%.14 Later deaths are few, are spread over the next days, and tend to be preventable. Other factors, such as climate and type of warfare, affect this curve. Clyne estimated that 41% of victims of bullet wounds would survive without any treatment.16 Bellamy predicted that 46% of wounded combatants would survive for a week without treatment (assuming a 20% mortality for infected soft tissue wounds).14 In Northern Ireland 60% of wounds were deemed “minor.”17 Danon et al reported that 68% of the wounds sustained in the Lebanon were “light.”18 The death rate in hospital during the Crimean war and American civil war, in which wounded soldiers did not have intravenous fluids, antibiotics, or modern surgery, are 16.7% and 14.1% respectively. The survival rates of all casualties were 67.6% and 70.4% respectively.13 Therefore I assume that the proportion of casualties surviving without treatment for seven days is about 60% to 65%. The end point of curve B is easier to establish. We can assume that 75% to 80% of all casualties reach a medical facility if access to it is within six hours' journey. Published figures for mortality in hospital (as distinct from “died of wounds”) are shown in table I. Table II shows data from the International Committee of the Red Cross's wound database for 10 800 patients from five of its hospitals. For the presumed 75% to 80% of casualties who reach a medical facility within six hours mortality is 5% (4% of all casualties), which seems to be little affected by the type of (conventional) weapon. If the end point of curve B is 70% to 75% of all casualties and that of curve A is 60% to 65%, as arrived at above, then treatment of those wounded in wars saves the lives of between 5% and 15% of all casualties. The difference between curves A and B is due to both non-operative and operative treatments. The combination of early first aid, intravenous fluids, and antibiotics must have a considerable effect, though it is difficult to put a figure on this. The impact of the introduction of penicillin is well recorded.28 Small fragment wounds are common in modern warfare; when uncomplicated, I now recommend non-operative management with dressings, benzylpenicillin, tetanus prophylaxis, and observation of the patient only.1,2 Non-operative management must raise curve A to a point between it and curve B; the end point of such a curve is represented by line C.
As operative management does not account for all the difference between A and B its value must be examined in terms of urgent surgery rather than surgery after a delay. The Israeli experience has shown that if the patients have been resuscitated only 3% genuinely need urgent surgery.21 Laparotomy is the operation carrying the greatest potential benefit for those wounded in war and is usually deemed an emergency; Rozin and Kleinman found that most casualties with abdominal wounds could tolerate a delay before operation if they were given adequate resuscitation.29 In addition, some laparotomies do not change the patient's outcome because the findings are negative or the patient dies despite surgery. A policy of selective conservative management of low velocity abdominal gunshot wounds has shown that one third of the patients would not have their outcome altered by laparotomy.30 For chest wounds the initial life saving manoeuvre is insertion of a chest drain; this does not require a surgical facility or even a surgeon. The evidence is clear: urgent surgery directed at saving the lives of those who would die on the steep, initial part of the survival curve has a small impact on overall survival. Surgery that can be performed after a delay and which is directed at casualties who would die of infective complications of the wound has a greater impact. The cases in figures 2 and 3 show how urgent surgery may or may not affect survival. Table II shows the mortality of patients admitted to the International Committee of the Red Cross's hospital in Kabul on “triage days” - that is, when more than 20 patients were admitted. Most of the wounded arrived within minutes or the hour of wounding; intravenous fluids and antibiotics were started on admission by the nursing staff. The hospital, however, never had more than four surgical teams and so most patients admitted on those days waited for surgery. The mortality in patients admitted on these days was 6.4% - the same as for all patients admitted to Kabul within six hours. It is also pertinent to consider the impact of poor quality surgical care accompanied by the risk from anaesthesia given by unskilled and unsupervised staff. As the gain in survival for operative management is small anyway, does poor quality care drop the end point of curve B below that of curve C or even below curve A? It might seem reasonable to suppose that as the quality of available surgical care increases, the amount of avoidable disability decreases. This is not the case; poor surgical care can increase the disability within a group of patients - and most people wounded in wars are not operated on by qualified surgeons or even doctors. Untrained, ill equipped, incompetent, exhausted, or unmotivated surgeons are more likely to make these mistakes. Such operators can easily damage nerves or major vessels during small operations. Small wounds may simply be made bigger and then sutured. Amputations may be performed badly with incorrect techniques, for incorrect indications, at the incorrect level. Colostomies may be performed unnecessarily. These are all examples I have witnessed. The epidemiological approach I have described here identifies objectives for maximising survival and quality of survival of people wounded in war when resources are limited. Early first aid (airway protection and arrest of accessible haemorrhage) and non-operative management (intravenous fluids, antibiotics, analgesia, dressings, and splints) save more lives than surgery. These measures can be more easily taught to local health professionals in a war zone. Their provision alone if surgery cannot be reached is not irresponsible; it is better than providing an inadequate surgical service or encouraging an incompetent one. Therefore, when access is limited or temporary it is best to provide and teach first aid and non-operative management, with surgery remaining a secondary consideration. Those who are going to die through lack of surgery can at least do so without pain and with a dressing on the wound. For those wounded who would die on the early steep part of the survival curve surgery is effective only when access to them is rapid, when resuscitation, postoperative care, hospital organisation, specialised surgical skill, resources, and time are adequate, and when blood transfusion is safe.33 The small proportion of patients who benefit from urgent surgery must not divert attention and resources from the majority who still require surgery for survival but less urgently or from those who require surgery for improved quality of survival. The International Committee of the Red Cross has succeeded in bringing surgical care to a small proportion of the wounded in many recent conflicts despite the difficulties and constraints. Experience has shown that before imported surgical and anaesthetic skills can be used effectively there must be access to the hospital treating casualties; adequate security for staff (which inevitably means remaining some distance from the conflict); and a hospital infrastructure which requires nursing and administrative staff and adequate lines of supply. A surgical facility can still have a great effect even if the patients reach it after 24 hours, so long as they have received appropriate first aid. Is it acceptable to plan for a long evacuation time? The decline in the mortality in the hospital with a longer evacuation time is seen in the figures from the International Committee of the Red Cross's database. Some of the deaths which might be attributed to a long evacuation time are inevitable; simply, most casualties who are destined to die do so whether they reach a surgical hospital or not. The provocative question that arises is whether, when numerous casualties overwhelm non-military facilities, a delay in surgery is in fact beneficial. Allowing “nature's triage” to work may, paradoxically, allow a greater proportion of the wounded to benefit from limited surgical care. What about the evacuation of wounded civilians, especially children, from a conflict area to another country with better medical facilities? This form of action cannot be considered in the context of the epidemiological view I have described. Such actions often carry media and political implications that far outweigh the concern for the individual patient. Consideration must also be given to the remaining wounded people who have not been selected. In addition, the patient who is evacuated may have to face returning with a physical handicap to a destroyed country. Such a detached approach to managing people wounded in wars might be criticised by those who believe that every effort must be made to save lives in a war zone. The reason for writing this review is to answer that criticism. Most casualties of war currently have little or no treatment, and even with mobilisation of extensive funds, the problems of injuries from weapons are such that the needs of casualties would never be met except by the military of wealthy nations. Non-military surgery in war conditions is currently an inefficient damage limitation exercise. By eliminating the emphasis inherited from a traditional military surgery, we can at least plan to make an efficient damage limitation exercise. Military medical forces working with the United Nations under a humanitarian mandate may benefit from considering this alternative approach. 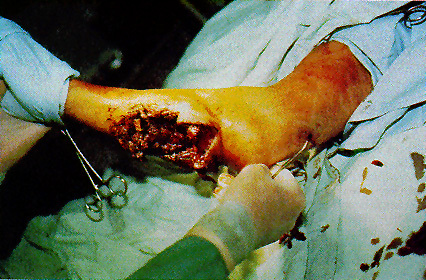 .War wounds of limbs: surgical management.Oxford: Butterworth Heinemann,1993. .Hand grenade injuries among civilians.JAMA1993;270: 624–6. .Triage of war wounded: the experience of the International Committee of the Red Cross.Injury1992;23: 507–10. .An experience of war surgery and wounds presenting after 3 days on the border of Afghanistan.Injury1988;19: 259–62. .Injuries from antipersonnel mines: the experience of the International Committee of the Red Cross.BMJ1991;303:1509–12. .The Falkland's war: triage.Ann R Coll Surg Engl1984;66: 195–6. eds.Emergency war surgery. 2nd US revision of the Nato handbook.Washington, DC: United States Government Printing Office,1988. .Assessing injury severity during general war: will the military triage systems meet future needs? J R Army Med Corps1990;136:27–35. .Triage: in austere environments and echeloned medical systems.World J Surg1992;16: 904–9. .Getting them out alive. US Naval Institute Proceedings 1989 Feb:40–6. .Pathological evaluation of trauma in fatal casualties of the Lebanon war, 1982.Isr J Med Sci1982;20:369–71. .Analysis of 828 servicemen killed or injured by explosion in Northern Ireland 1970–84: the Hostile Action Casualty System.Br J Surg1989;76: 1006–10. .Battle casualties.Ann R Coll Surg Engl1975;56: 287–303. .The causes of death in conventional land warfare: implications for combat casualty care research.Milit Med1984;149:55–62. .A computerised data retrieval system for the wounds of war: the Northern Ireland casualties.J R Army Med Corps1981;127: 31–54. .Primary treatment of battle casualties in the Lebanon war, 1982.Isr J Med Sci1984;20: 300–2. .A report on missile injuries in Cyprus 1974.Br J Surg1976;63: 482–7. .The Falklands war: army field surgical experience.Ann R Coll Surg Engl1983;65:281–5. .New concepts of forward combat surgery.Injury1988;19: 193–7. .Medical statistics of battlefield casualties.Injury1987;18: 96–9. .War injuries treated under primitive circumstances: experiences in a Ugandan mission hospital.Ann R Coll Surg Engl1987;69: 193–5. .Assessment of hospital workload in war surgery.Br J Surg1987;74: 831–3. 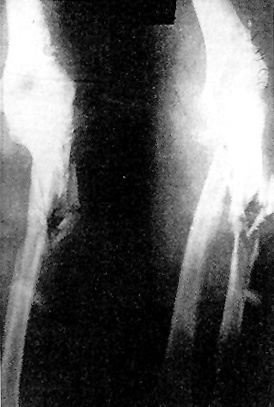 .Surgery in a Palestinian refugee camp.Injury1992;23: 405–9. .Afghan war wounded: experience with 200 cases.J Trauma1988;28: 523–5. .Penicillin: early trials in war casualties.BMJ1984;289:1723–5. .Surgical priorities of abdominal wounded in a combat situation.J Trauma1987;27: 656–60. .Selective conservative management of abdominal gunshot wounds: a prospective study.Br J Surg1990;77: 652–5. .Strategy for medical assistance in disaster situations.International Review of the Red Cross1991;284:494–504. .The Geneva conventions of August 12 1949.Geneva: ICRC,1986. .Transfusion requirements for the management of war wounded: the experience of the International Committee of the Red Cross.Br J Anaesth1992;68:221–3.